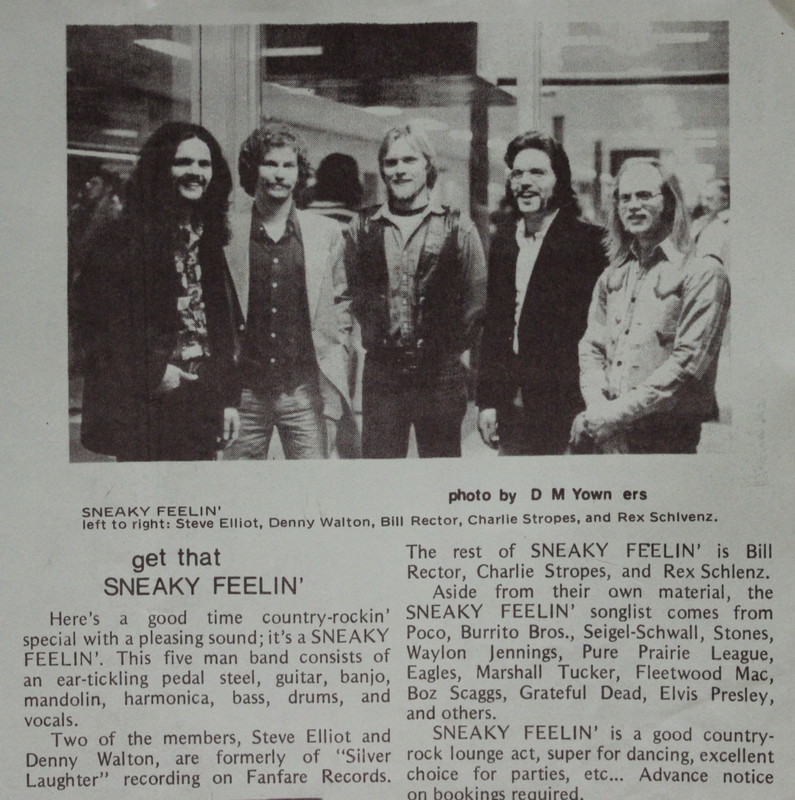 Carl sent me a bunch of promo stuff from Sneaky Feelin’. If you remember, Steve Elliott, founding member of Silver Laughter, left the band in (around) 1974. However, he wasn’t done with music, not by a long shot. His next musical venture was with Sneaky Feelin’. In fact, in photos I will share with you in the next few days, several Silver Laughter members were in this band over the time they were together. This promo shows former Silver Laughter members, Steve Elliott and Denny Walton.